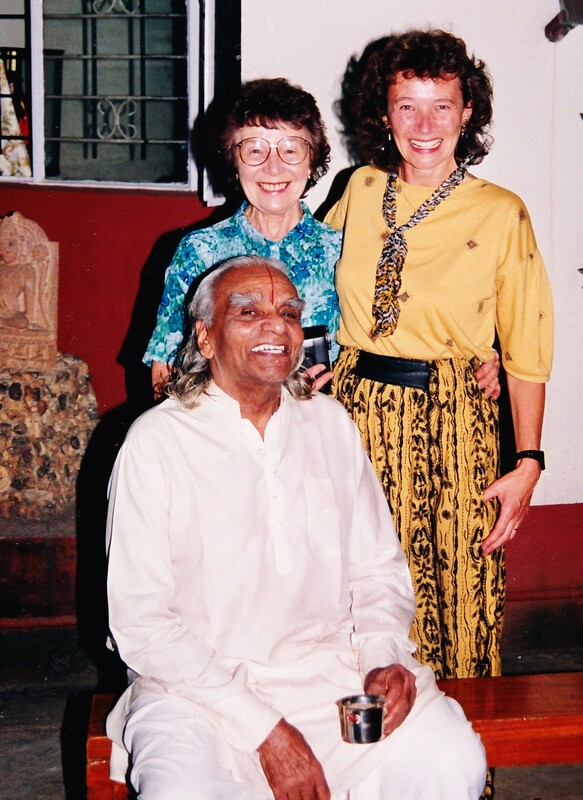 Sheila has been teaching Iyengar Yoga for over 35 years. During that time she have visited the Iyengar Yoga Institute in Pune on several occasions, the most recent being in 2016. When possible she attended classes with BKS Iyengar in London and Paris and with Geeta Iyengar in the UK and the US. Sheila qualified as a Senior Iyengar Yoga Teacher in 2000 and has given most of her working life to studying and teaching both in the UK and abroad. I began my yoga experience whilst at university. My mum Lilian Biggs (also my teacher until her death in 2005), sent me a copy of ‘Light on Yoga’ by BKS Iyengar. She had just come across this form of yoga and was sure I would also be interested. I learnt and practised from the book for two years before I was able to find a class to attend, but the seed was sown deep and I have continued with the practice which has become a part of who I am. Sheila is an approved Iyengar Yoga Teacher Trainer and has been training teachers since 1996. She is also a Moderator and Assessor for IY(UK) – the Iyengar Yoga association of the UK and has moderated the Intermediate Junior exams in the Netherlands on several occasions. Sheila is the owner and director of The Iyengar Yoga Shala (High Wycombe).